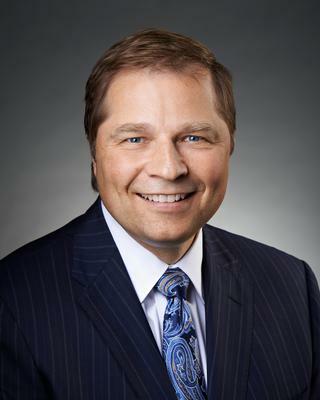 Jerry S. Podkopacz has more than 25 years of experience addressing complex intellectual property and high technology issues for business clients. He understands the importance and value of technology and intellectual property rights, and provides strategic and effective counsel for his clients in these mission-critical areas. Jerry frequently lectures to business groups and professional associations on complex intellectual property and high technology issues. He has been featured on Minnesota Public Radio’s Morning Edition and Midday programs and in the Minneapolis StarTribune, St. Paul Pioneer Press and other publications. Helps clients successfully identify, protect and commercially exploit their intellectual property rights. Has negotiated patent and trademark acquisition agreements, prepared copyright and trademark programs, managed comprehensive licensing projects, and implemented litigation-prevention efforts. By developing these comprehensive intellectual property strategies, Jerry helps his clients thrive in rapid-to-market and highly litigious industries. Counsels clients on complex technology projects. Frequently helps his clients develop effective strategies for acquiring high technology and information systems, and ensures compliance with evolving laws and regulations applicable to confidential data. Has drafted numerous colocation and cloud computing agreements, negotiated software development projects, developed data security programs, and prepared hardware procurement agreements. Disputes involving intellectual property and technology are an unfortunate reality in today’s competitive marketplace. Jerry has the experience to quickly identify potential disputes and resolve them before they end up in court. When litigation is necessary, Jerry is a vigorous advocate for his clients. He has successfully prosecuted and defended infringement lawsuits in state and federal courts across the country, as well as before the Trademark and Trial Appeal Board. He has brought and defended mission-critical lawsuits involving information technology systems, software performance issues, license disputes, data breaches and other technology related matters. Represented Minnesota’s leading provider of data center services for more than 15 years on a broad range of technology issues, including the roll-out of new products, the development of physical and data security programs, the drafting of colocation agreements, cloud computing agreements, and managed service agreements. Represented leading consumer products manufacturer in trademark infringement lawsuit against its largest competitor, resulting in the competitor ceasing its advertising campaign and all other uses of the trademark. Represented a major Chinese consumer electronics manufacturer for more than 15 years in connection with a wide range of intellectual property and technology licensing agreements, intellectual property acquisition projects, joint ventures and other complex agreements relating to the manufacture, promotion and sale of consumer electronics to major U.S. retailers. Represented a leading hospital in its acquisition of technology needed for a major expansion. Represented a major television shopping network for more than 15 years in connection with intellectual property lawsuits, licensing disputes, warranties, and supply chain issues relating to the on-air and online sale of consumer electronics and other products. Represented a joint venture of three automobile manufacturers in connection with a complex software development project designed to enable lenders to provide and securitize electronic loans. Represented software developer of a popular commercial graphics program in a successful lawsuit against acquiring company for failure to accurately report sales and pay royalties.